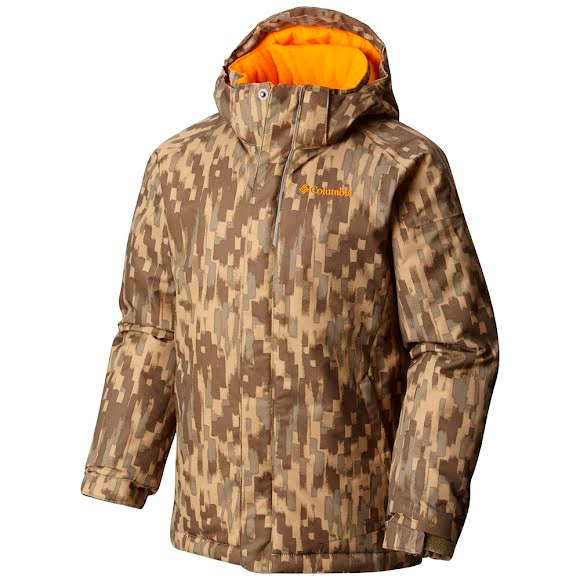 Warm, waterproof, breathable, and versatile, the Columbia insulated Boy's Youth Twist Tip Jacket is built to keep them cozy and dry through the storm. Features include a soft fleece lining for bonus warmth and ingenious adjustable cuffs that extend to accommodate for growth over multiple seasons. Warm, waterproof, breathable, and versatile, the Columbia insulated Boy&apos;s Youth Twist Tip Jacket is built to keep them cozy and dry through the storm. Features include a soft fleece lining for bonus warmth and ingenious adjustable cuffs that extend to accommodate for growth over multiple seasons.